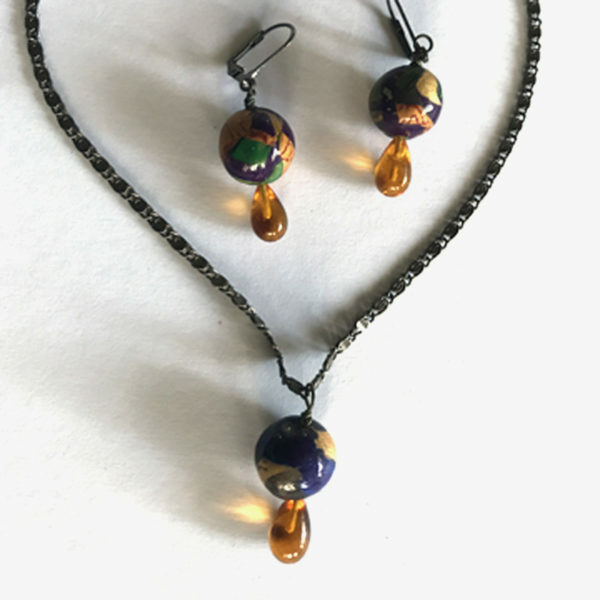 The glow of amber! 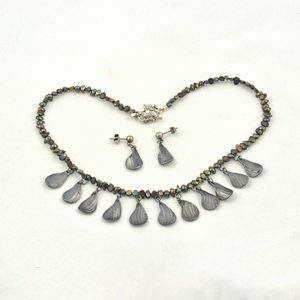 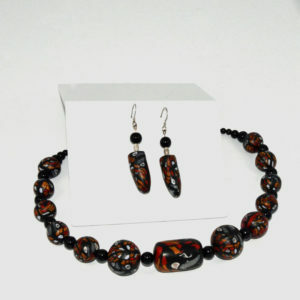 Vintage faux amber beads combine with handmade polymer beads creating a lovely necklace and earring set. 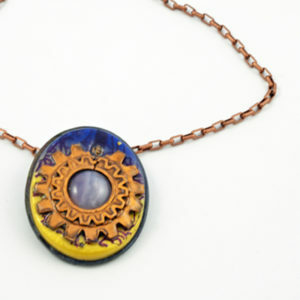 The blues and golds shine highlighting each other.